Saint Stephen Urosh (Stefan Uroš), the second Emperor (Tsar) of the Serbian Empire (1355–1371), was the only son of Emperor Dushan Nemany (1346-1355), by Helena of Bulgaria, the sister of Ivan Alexander of Bulgaria, and was born in the year 1337. He had been crowned as king (second highest title) in the capacity of heir and co-ruler after Dushan was crowned emperor in 1346. Dushan sought the daughter of the French king for his son, but the Pope of Rome insisted that the princess not change from the Latin confession. 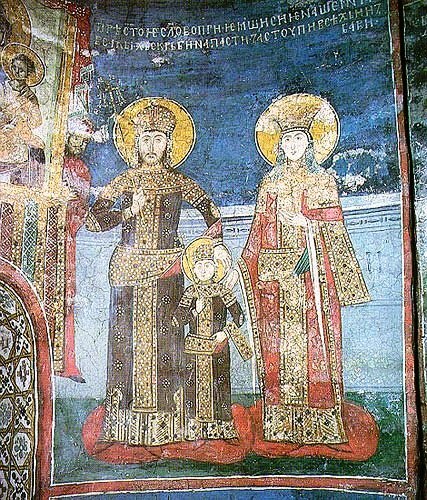 Dushan did not want to see a Catholic in his family, and because of this Saint Stephen Urosh entered into marriage with the daughter of Vlad, Prince of Wallachia. Upon the death of his father (+ 1355), Saint Stephen Urosh became the independent and actual ruler of Serbia. He was faithful to the Lord; like a father he provided for widows and orphans, he pacified quarrels and maintained peace, he was charitable to the poor, and he defended the downtrodden. 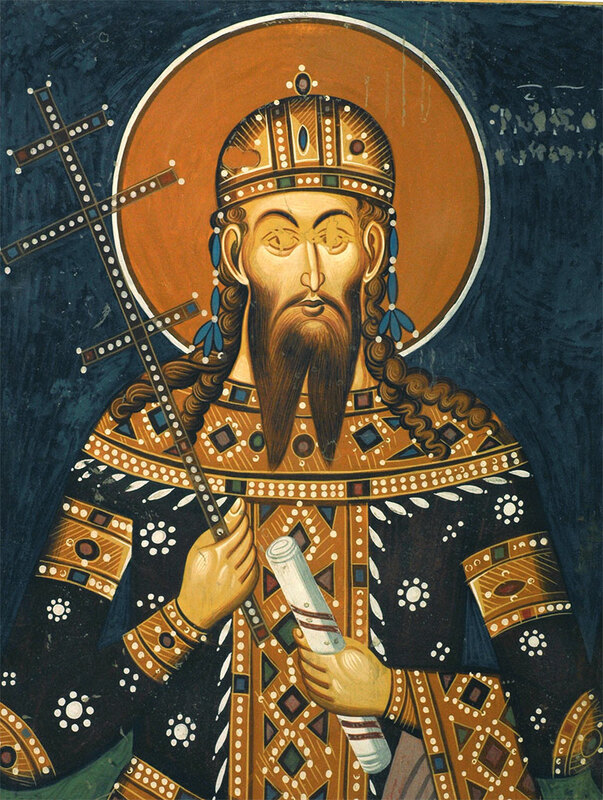 In the interests of peace in Serbia and indeed for the preservation of his own life, Saint Stephen was obliged to flee to his kinsman, Prince Lazar. 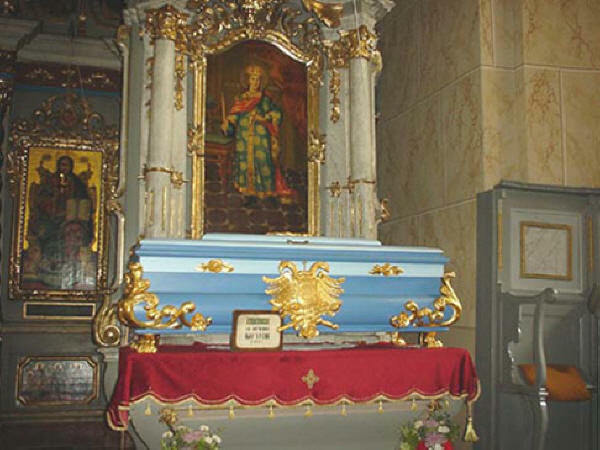 Saint Stephen’s uncle, Vulkashin, immediately seized the throne, but his fear of rivals gave him no peace. Through his sister, Saint Stephen’s mother, he invited his nephew to come to the city of Skopje, on the pretext of a reconciliation. Greeting him with honor, as Tsar, he invited him to go hunting. When Saint Stephen, weary from the hunt, went off with his horse to a well and bent over to take a sip of water, Vulkashin struck him a mortal blow on the head with a mace. The exceptional modesty and tolerance of this ruler was the main reason he was called "the weak", and also the reason he was canonized 211 years after his death. His body is kept in the Jazak Monastery on Fruška Gora mountain.